Leptospirosis is a serious zoonotic disease caused by infection with Leptospira spp and it is presumed to be the most widespread zoonosis in the world [WHO, 1999a]. Leptospirosis has been identified as a re-emerging infectious disease and this has been demonstrated by the large outbreaks in Nicaragua, Brazil, India, Southeast Asia, Malaysia and in the United States [Meslin 1997; Brandling-Bennett et al., 1996; CDC, 1995; Levett, 1999; Schwartz, 1997; Trevejo et al., 1998; WHO, 2000; CDC, 1998; CDC, 1994; CDC, 2000; Evans et al., 2000]. Leptospirosis is also being described as an emerging disease of the adventure traveler and in such case its transmission is particularly associated with recreational exposures occurring in water sports [Mumford 1989]. On the other hand, the occurrence of large outbreaks following severe floods has been described in several locations [Epstein et al., 1995; Ko et al., 1999; Zaki et al., 1995; Trevejo et al., 1998; French et al., 1989; Fuortes et al., 1994; Oliveira et al., 1977; Park et al., 1989; es et al., 1969Simo]. In this review the epidemiological features of leptospirosis are being described in detail. Moreover, depending on these epidemiological data specific preventive measures are being suggested in order to reduce the risk of the disease transmission. Leptospirosis has a worldwide distribution and is more spread in tropical regions than in temperate countries [Everard, et al., 1993; Ratnam 1994]. This is attributed mainly to longer survival of leptospires in warm and humid environments. Leptospirosis is not limited to developing countries. Retrospective reviews of the disease epidemiology have been reported from Ireland, Denmark and Italy [Pate et al., 2000; Holk et al., 2000; Ciceroni et al., 2000]. A pattern of disease seasonality has been described with a peak incidence occurring in summer or fall in temperate regions and during rainy seasons in warm-climate regions [Levett 2001]. Leptospirosis transmission in humans occurs by direct or indirect contact with urine, blood or tissue from an infected animal containing virulent leptospires [Koutis 2007]. Infection may also arise from bathing or accidental immersion in the fresh water of lakes, rivers or canals contaminated with the urine of the infected livestock that has been previously using the water [Koutis, 2007]. After an incubation period that ranges from 1 to 3 weeks, a phase commences which is marked by fever, chills, headache and severe myalgias and arthralgias [American Public Health Association, 2000]. The great majority of infections remains undetected or misdiagnosed since leptospirosis is a zoonosis of protean and non-specific manifestations [Peter 1982]. Still, in some cases of clinical infections (5-15%) it can cause multi-organ involvement and lead to death [Ko et al., 1999]. Feral and domestic mammals (cattle, pigs and dogs) as well as reptiles and amphibians serve as a source of permanent maintenance hosts or reservoirs for the over 250 known serovars of the genus Leptospira [Anon 2003; WHO, 1999b]. Rats and other rodents are the most important sources for human infection [Anon 2003]. This can be confirmed from the fact that several incidences of human and animal leptospirosis in over forty countries were attributed to the rodents. Several rodent species were associated with the disease including Rattus rattus, R. norvegicus, Mus musculus, Bandicota bengalensis, Bandicota indica, and others [Gangadhar 1999; Mathias et al., 2002, Koutis 2007]. Other animals such as dogs although vaccinated against Leptospira can shed the organism in their urine and this may result in domestic transmission in humans [Feigin et al., 1973]. In this regard, dogs are a significant reservoir for human infection in many tropical countries [Weekes et al., 1997], whereas a lot of documented outbreaks are associated with dogs [Haunz et al., 1952; Barkin 1973; Fraser et al., 1973; Everard et al., 1987]. In general, an infected animal can remain symptom-free and shed infectious organisms in the urine for its entire lifetime [Leonard et al., 1992; Thiermann 1981]. The infected animals transfer the Leptospirosis infectious agent to their offspring either in-utero or during neonatal period. Some leptospiral serovars are commonly associated with particular animal reservoirs; thus the prevalence of different leptospiral serovars within a human population depends on the reservoirs present and the serovars they carry [Bharti AR, et al., 2003]. However, no association has been found between between infecting serovar and severity or manifestations of clinical symptoms [Merien et al., 1996; Yersin et al., 1998; Levett et al., 2001]. Leptospirosis was thought to be primarily an occupational disease. Miners were the first occupational risk group to be recognized [Buchanan 1927; Inada et al., 1916]. Definitely, occupation is a significant risk factor for humans [Waitkins et al., 1986]. Some occupational high risk groups for leptospirosis that come either in direct or indirect contact with infected animals are reported to be the farmers, veterinarians, abattoir workers, rodent control workers, miners, soldiers, sewer workers, fish farmers, rice field workers, banana farmers, and others [Campagnolo et al., 2000; Chan et al., 1987; Terry et al., 2000; Demers et al., 1985; Buckland et al., 1945; Johnston et al., 1983; Robertson et al, 1981; Padre et al., 1988; Smythe et al., 2000]. However, occupational risk has been significantly decreased since preventive measures have been implemented. In this regard, a high seroprevalence rate (17%) among sewer workers from Scotland has been reported and this rate has been significantly reduced after the adoption of control rodent programs, the use of protective clothing and the use of detergents which even at low concentrations they inhibit leptospires’ survival [Stuart, 1939; Waitkins 1984]. Leptospirosis should be considered a disease of the environment. In this regard, a number of outbreaks have been related to heavy rainfalls in various rural locations including India, Salvador, Nicaraguan, Philippines, Peru, Argentina, [Ko et al., 1999; Trevejo et al., 1998; Easton 1999; Johnson et al., 2004; Vanasco et al., 2002]. Additionally, leptospirosis was documented after the hurricane in Puerto Rico in 1996 [Sanders et al., 1996]. In India and particularly in Orissa leptospirosis was reported following the cyclone in 1999 [Sehgal et al., 2002]. Moreover, there is a significant risk associated with recreational exposures occurring in water sports including swimming, rafting, canoeing, kayaking [Mumford, 1989; Jevon et al., 1986; Shaw, 1992; Reisberg et al., 1997]. For instance, an outbreak of leptospirosis among white-water rafters in Costa Rica was reported in September of 1996 [MMWR, 1997]. Furthermore, an outbreak of leptospirosis among athletes in triathlons in Wisconsin and Illinois has been documented in 1998 [MMWR, 1998]. Additionally, travelers visiting leptospirosis-endemic places continue to bring the disease back home [van Creel, et al., 1994]. In this regard, in 2000 more than 150 athletes participated in EcoChallenge Sabah Expedition Race in Malaysian Borneo contracted leptospirosis. It was presumed that leptospirosis was acquired during swimming in open waters [CDC, 2001]. These athletes presented clinical symptoms of leptospirosis back in their home country. Moreover, many sporadic cases of leptospirosis are associated with activities of daily life; specifically many cases result from barefooted walking in damp environment or gardening with bare hands [Everard, et al., 1992; Douglin et al., 1997]. It should be mentioned that a number of disease outbreaks were associated with drinking of urine-contaminated water [Jorge 1932; Petzetakis 1932]. As mentioned earlier, leptospirosis is not limited to tropical settings and it has first recognized in US inner-city populations [Vinetz, et al., 1996]. Recently, it has been mentioned that leptospirosis has become an urban public health problem as the rural poor population has moved into the cities [Johnson et al., 2004; Ko et al]. In countries were large demographic shifts have been documented, urban environment has been altered in ways that endemic and epidemic leptospirosis forms are favored. In Brazil for example the intense rural to urban migration in combination with the population growth have resulted in the formation of large urban slums that lack of basic sanitation; this has definitely produced suitable ecological conditions for rodent-borne transmission [Ko et al., 1999]. Urban leptospirosis situation is expected to become more urgent as the world’s urban slum population is estimated to dramatically increase in the next 20 years [United Nations, 2003]. An association between prevalence of leptospirosis and gender has been reported in many studies. Particularly, men tend to present much higher incidence or prevalence of the disease than women and this fact was not attributed to more frequent exposure of men [Lecour et al., 1989; Ko et al., 1999; Sasaki et al., 1993; Ciceroni et al., 1995]. However, this association has not been confirmed in other studies [Bertherat et al., 1999; Kim, 1987; Ratnam et al., 1993]. Understanding the epidemiological features of leptospirosis is a critical step in designing interventions for diminishing the risk of the disease transmission. At present there are few effective prevention measures for leptospirosis. Currently, there is no human vaccine available against leptospirosis. Human leptospirosis can be controlled by reducing its prevalence in wild and domestic animals. Although little can be done in wild animals, leptospirosis in domestic animals can be controlled through vaccination with inactivated whole cells or an outer membrane preparation [Palaniappan et al., 2007]. Doxycycline (100mg orally per week) is used for chemoprophylaxis but this dose must be reconsidered since its half-life is 18h [Haake et al., 2002]. Although chemoprophylaxis may be feasible for travelers it is impractical for large high risk populations. In addition, persons who travel in leptospirosis-endemic areas should be informed that bathing may be hazardous in rat infected areas [Koutis, 2007]. Since some outbreaks have been associated with drinking of contaminated water, water purification should be implemented. Prevention and control measures should be focused on the infection source [Koutis, 2007]. Rodent-vector control preferably through the use of slow acting rodenticides and improved hygiene may be some of the measures for diminishing the risk of leptospirosis transmission. Occupational hygiene (in sewers, farmers, and other high risk groups) that includes the use of water proof shoes and gloves is fundamental for preventing human leptospirosis [Koutis, 2007]. These occupational groups as well as adventure travelers should also be informed that skin abrasions should not be exposed since they serve as portal of entry for infection. Another control measure that is critical for the disease prevention is the appropriate drainage of wet areas and this is of the most radical means of sanitation. More importantly, policy makers and public health officials should be convinced that addressing the principal conditions of poverty such as poor sanitation could lead to disease elimination; In conclusion, prevention is largely dependent on sanitation measures that are difficult to implement, especially in developing countries. American Public Health Association. Leptospirosis. In: Control of Communicable Diseases Manual, 17 edn (ed. C James) APHA, Washington DC 2000; pp. 293-296. Anon. Human leptospirosis: Guidance for diagnosis, surveillance and control. WHO: Malta; 2003. p1-122. Barkin RM, Glosser JW. Leptospirosis-an epidemic in children. American Journal of Epidemiology 1973; 98:184-191. Bertherat E, Renaur A, Nabias R, Dubreuil G, Georges-Courbot MC. Leptospirosis and Ebola virus infection in five gold-panning villages in northeastern Gabon. American Journal of Tropical Medicine and Hygiene 1999; 60:610-615. Bharti AR, Nally JE, Ricaldi JN, Matthias MA, Diaz MM, Levett MA. Leptospirosis: a zoonotic disease of global importance. Lancet Infectious Diseases 2003; 3:757-771. Bradling-Bennett AD, Pinheiro F. Infectious diseases in Latin America and the Caribbean: are they really emerging and increasing? Emerging Infectious Diseases 1996; 2; 59-61. Buchanan G. Spirochactal jaundice. Special Reports Series, 1927; no113 Medical research Council, London UK. Buckland FE, Stuart RD. Mud fever (leptospirosis) in the British army in France. Lancet 1945; 2:331-333. Campagnolo ER, Warwick MC, Marx HL, Cowart RP, Donnell HD Jr, Bajani MD, et al. Analysis of the 1998 outbreak of leptospirosis in Missouri in humans exposed to infected swine. Journal of the American Veterinary Medical Association 2000; 216:676-682. Center for Disease Control. Update: outbreak of acute febrile illness among athletes participating in EcoChallenge Sabah 2000-Borneo, Malaysia, 2000. MMWR Morbidity Mortality Weekly Report 2001; 50:21-24. Centers for Disease Control and Prevention. Outbreak of acute febrile illness and pulmonary hemorrhage-Nicaragua 1995. Morbidity Mortality Weekly Report 1995; 44:841-843. Centers for Disease Control and Prevention. Outbreak of acute febrile illness among athletes participating in triathlons-Wisconsin and Illinois, 1998. Morbidity Mortality Weekly Report 1998; 47:585-588. Centers for Disease Control and Prevention. Outbreak of acute febrile illness among participants in EcoChallenge Sabah 2000- Malaysia, 2000. Morbidity Mortality Weekly Report 49:816-817. Centers for Disease Control and Prevention. Summary of notifiable diseases, United States, 1994. Morbidity Mortality Weekly Report 1994; 43:1-80. Chan OY, Paul DR, Sng EG. Leptospirosis among abattoir workers-a serological study. Singapore Medical Journal 1987;28:293-296. Ciceroni L, Pinto A, Benedetti E, Pizzocaro P, Lupidi R, Cinco M, et al. Human leptospirosis in Italy, 1986-1993. European Journal of Epidemiology 1995; 11:707-710. Ciceroni L, Stepan E, Pinto A, Pizzocaro P, Detton G, Frazin L, et al. Epidemiological trend of human leptospirosis in Italy between 1994 and 1996. European Journal of Epidemiology 2000; 16:79-86. Demers RY, Frank R, Demers P, Clay M. Leptospiral exposure in Detroit rodent control workers. American Journal of Public Health 1985; 75:1090-1091. Douglin CP, Jordan C, Rock R, Hurley A, Levett PN. Risk factors for severe leptospirosis in the parish of St. Andrew, Barbados. Emerging Infectious Diseases 1997; 3:78-80. Easton A. Leptospirosis in Philippines floods. British Medical Journal 1999; 319:212. Epstein PR, Pena OC, Racedo JB. Climate and disease in Colombia. Lancet 1995; 346:1243-1244. Everard COR, Bennett S, Edwards CN, Nicholson GD, Hassell TA, Carrington DG, et al. An investigation of some risk factors for severe leptospirosis in Barbados. Journal of Tropical Medicine and Hygiene 1992; 95:13-32. Everard COR, Jones CJ, Inniss VA, Garrington DG, Vaughan AW. Leptospirosis in dogs on Barbados. Israel Journal of Veterinary Medicine 1987; 43:288-295. Everard JD, Everard COR. Leptospirosis in the Caribbean. Reviews in Medical Microbiology 1993;4:114-122. Feigin RD, Lobes LA, Anderson D, Pickering L. Human leptospirosis from immunized dogs. Annals of Internal Medicine 1973; 79:777-785. Fraser DW, Glosser JW, Francis DP, Phillips CJ, Feeley JC, Sulzer CR. Leptospirosis caused by serotype fort-bragg-a suburban outbreak. Annals of Internal Medicine 1973; 79:786-789. French JG, Holt KW. Floods. In MD Gregg (ed), The public health consequences of disasters, 1989. Centers for Disease Control, Atlanta GA.
Fuortes L, Nettleman M. Leptospirosis: a consequence of the Iowa flood. Iowa Medicine 1994; 84:449-450. Gangadhar NL. Rodents and leptospirosis: A global perspective. In: Proc. 1st Natl Leptospirosis Conf: Bangalore, 1999; p.11-13. Haake DA, Dundoo M, Cader R, Kubak BM, Hartskeerl RA, Dejvar JJ, et al. Leptospirosis, water sports and chemoprophylaxis. Clinical Infectious Diseases 2002; 34:40-43. Haunz EA, Cardy JD. Canicola fever: report of nine cases in one family, with abstract of the world literature. Archives of Internal Medicine 1952; 89:978-993. Holk K, Nielsen SV, Renne T. Human leptospirosis in Denmark 1970-1996: an epidemiological and clinical study. Scandinavian Journal of Infectious Diseases 2000; 32:533-538. Inada R, Ido Y, Hoki R, Kancko R, Ito H. The etiology, mode of infection, and specific therapy of Weil’s disease (spirochactosis icteroliaemorrhagica). Journal of Experimental Medicine 1916; 23:377-402. Jevon TR, Knudson MP, Smith PA, Whitecar PS, Blake RL. A point-source epidemic leptospirosis: description of cases, cause and prevention. Postgraduate Medicine 1986; 80:121-129. Johnson MA, Smith H, Joseph P, Gilman RH, Bautista CT, Campos K, et al. Environmental exposure and leptospirosis, Peru. Emerging Infectious Diseases 2004; 10:1016-1022. Johnston JH, Lloyd J, McDonald J, Waitkins S. Leptospirosis-an occupational disease of soldiers. Journal of the Royal Army of Medical Corps 1983;129:111-114. Jorge R. Une epidemic a Lisbonne d’ictere hemorragique d’origine hydrique contracte per os: nosologie, bacteriologie et epidemiologie. Bulletin Officiel International Hygiene Publique 1932; 24:88-117. Kim JS. Leptospirosis: a newly identified disease in Korea Asia. Pacific Journal of Public Health 1987; 1:61-68. Ko AI, Galvao Reis M, Ribeiro Dourado CM, Johnson WD, Riley LW and the Salvador Leptospirosis Study Group. Urban epidemic of severe leptospirosis in Brazil. Lancet 1999; 354:820-825. Lecour H, Miranda M, Margo C, Rocha A, Goncalves V. Human leptospirosis- a review of 50 cases. Infection 1989; 17:8-12. Leonard FC, Quinn PJ, Ellis WA. Duration of urinary excretion of leptospires by cattle naturally or experimentally infected with Leptospira interrogans serovar hardjo. The Veterinary Record 1992; 131:435-439. Levett PN. Leptospirosis. Clinical Microbiology Reviews 2001; 14:296-326. Levett PN. Leptospirosis: re-emerging or re-discovered disease? Journal of Medical Microbiology 1999; 48:417-418. Mathias MA, Levett PN. Leptospiral carriage by mice and mongooses on the island of Barbados. The West Indian Medical Journal 2002; 51:10-13. Merien F, Perolat P. Health importance of human leptospirosis in the South Pacific: a five year study in New Caledonia. American Journal of Tropical Medicine & Hygiene 1996;55:174-178. Meslin FX. Global aspects of emerging and potential zoonoses: a WHO perspective. Emerging Infectious Diseases 1997; 3:223-228. MMWR. Outbreak of acute febrile illness among athletes participating in Triathlons Wisconsin and Illinois, 1998. Journal of the American Medical Association 1998; 280: 1473-1474. MMWR. Outbreak of leptospirosis among white-water rafters-Costa Rica, 1996. Journal of the American Medical Association 1997;278:808-809. Mumford CJ. Leptospirosis and water sports. British Journal of Hospital Medicine 1989; 41:519. Oliveira VJC, Rocha MB, Silva GB, Cabral CLN. Observations on a new epidemic outbreak of leptospirosis in greater Recife, Brazil in 1975. Revista do Instituto Adolfo Lutz 1977; 37:33-36. Padre LP, Watt G, Tuazn ML, Gray MR, Laughlin LW. A serologic survey of rice-field leptospirosis in central Luzon, Philippines. 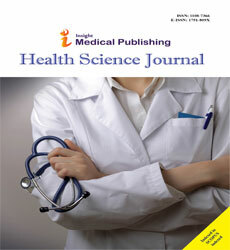 Southeast Asian Journal of Tropical Medicine and Public Health 1988; 19:197-199. Palaniappan R, Ramanujam S, Chang YF. Leptospirosis: pathogenesis, immunity and diagnosis. Current Opinion in Infectious Diseases 2007; 20:284-292. Park SK, Lee SH, Rhee YK, Kang SK, Kim KJ, Kim MC, et al. Leptospirosis in Chonbuk province of Korea in 1987: a study of 93 patients. American Journal of Tropical Medicine and Hygiene 1989; 41:345-351. Pate GE, Hogan MC, FitzSimon N, Mellotte GJ. A review of the epidemiology of leptospirosis in the Republic of Ireland. Irish Medical Journal 2000; 93:114-117. Peter G. Leptospirosis: a zoonosis of protean manifestations. Pedriatric Infectious Diseases 1982; 1:282-288. Petzetakis M. A propos d’une épidémic de spirochétose ictérohémmorragique à l’ile de Syra: origine hydrique del’ epidemic presence des spirochetes chez les rats d’ égout, en Grèce. Bulletin de la Societe de Pathologie Exotique 1932; 25:411-416. Ratnam S, Everard CO, Alex JC, Suresh B, Thangaraju P. Prevalence of leptospiral agglutinins among conservancy workers in Madras City, India. Journal of Tropical Medicine and Hygiene 1993; 96:41-45. Ratnam S. Leptospirosis: an Indian perspective. Indian Journal of Medical Microbiology 1994; 12:228-239. Reisberg BE, Wurtz R, Diaz P, Francis B, Zakowski P, Fannin S, et al. Outbreak of leptospirosis among white-water rafters-Costa Rica, 1996. Morbidity Mortality Weekly Report 1997;46:577-579. Robertson MH, Clarke IR, Coghlan JD, Gill ON. Leptospirosis in trout farmers. Lancet 1981; 2:626-627. Sanders EJ, Rigau-Perez JG, Smits HL. Leptospirosis in dengue-negative patients after a hurricane in Puerto Rico in 1996. American Journal of Tropical Medicine & Hygiene 1998;61:399-404. Sasaki DM, Pang L, Minette HP, Wakida CK, Fujimoto WJ, Manea SJ, et al. Active surveillance and risk factors for leptospirosis in Hawaii. American Journal of Tropical Medicine & Hygiene 1993; 48:35-43. Schwartz DA. Emerging and reemerging infections: progress and challenges in the subspecialty of infectious disease pathology. Archives of Pathology & Laboratory Medicine 1997; 121:776-784. Sehgal SC, Sugunan AP, Vijayachari P. Outbreak of leptospirosis after the the cyclone in Orissa. The National Medical Journal of India 2002; 15:22-23. Shaw RD. Kayaking as a risk factor for leptospirosis. Missouri Medicine 1992; 89:354-357. Simoes J, d. Azevedo JF, Palmeiro JM. Some aspects of the Weil’s disease epidemiology based on the recent epidemic after a flood in Lisbon (1967). Anais da Escola Nacional de Saude Publica de Medicine Tropical 1969; 3:19-32. Smythe L, Dohnt M, Norris M, Symonds M, Scott J. Review of leptospirosis notifications in Queensland and Australia: January 1998-June 1999. Communicable Diseases Intelligence 2000; 24:153-157. Stuart RD. Weil’s disease in Glasgow sewer workers. British Medical Journal 1939; 1:324-326. Terry J, Trent M, Barlett M. A cluster of leptospirosis among abattoir workers. Communicable Diseases Intelligence 2000;24:158-160. Thiermann AB. The Norway rat as a selective chronic carrier of Leptospira icterohaemorrhagiae. Journal of Wildlife Diseases 1981; 17:39-43. Trevejo RT, Rigau-Perez JG, Ashford DA, McClare M, Jarquin-Gonzalez C, Amador JJ. Epidemic leptospirosis associated with pulmonary hemorrhage-Nicaragua. Journal of Infectious Diseases 1995; 178:1457-1463. United Nations. The challenge of slums: global report on human settlements. Nairobi: UN-Habitat, 2003. Van Creel R, Speelman P, Gravekamp C, Terpstra WJ. Leptospirosis in travellers. Clinical Infectious Diseases 1994; 19:132-134. Vanasco NB, Fusco S, Zanuttini JC, Manattini S, Dalla Fontana ML, Prez J, et al. Outbreak of human leptospirosis after a flood in Recoquista, Santa Fe, 1998. Revista Argentina de Microbiologia 2002; 34:124-131. Vinetz JM, Glass GE, Flexner CE, Mueller P, Kaslow DC. Sporadic urban leptospirosis. Annals of Internal Medicine 1996; 125:794-798. Waitkins SA. An update on leptospirosis. Communicable Disease Reputation 1984;44:3-4. Waitkins SA. Leptospirosis as an occupational disease. British Journal of Industrial Medicine 1986; 43:721-725. Weekes CC, Everard COR, Levett PN. Seroepidemiology of canine leptospirosis on the island of Barbados. Veterinary Microbiology 1997; 51:215-222. World Health Organization. Leptospirosis worldwide. Weekly Epidemiological Record 1999; 74:237-242. World Health Organization. Leptospirosis worldwide. Weekly Epidemiological Record; 29:237-42. World Health Organization. Leptospirosis, India: report of the investigation of a post-cyclone outbreak in Orissa, November 1999. Weekly Epidemiological Report 2000; 75:217-223. Yersin C, Bovet P, Merien F, Wong T, Punawsky J, Perolat P. Human leptospirosis in the Seychelles (Indian Ocean): a population-based study. American Journal of Tropical Medicine and Hygiene 1998; 59:933-940. Zaki SR, Shich WJ, and the Epidemic Working Group. Leptospirosis associated with outbreak of acute febrile illness and pulmonary haemorrhage, Nicaragua, 1995. Lancet 1996; 347:535.